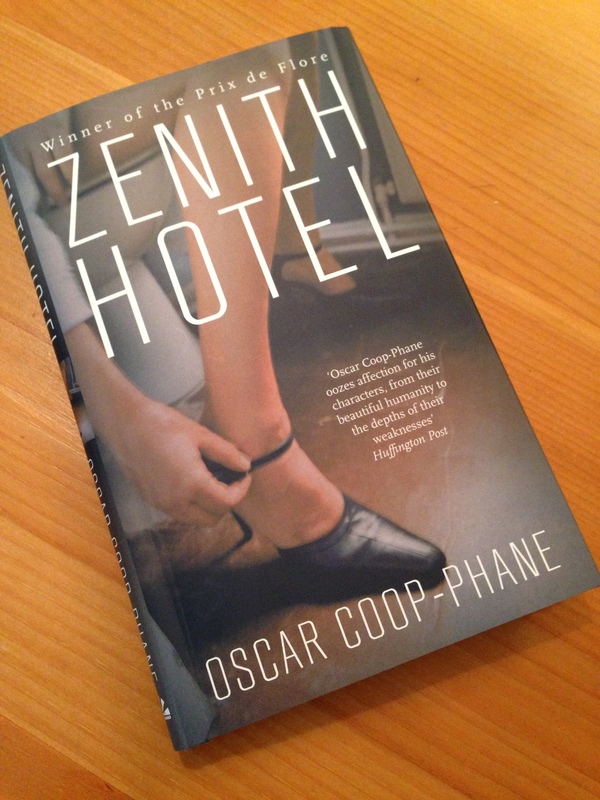 Zenith Hotel, a raw and powerful novella by Oscar Coop-Phane, introduces us to Nanou, a Parisian streetwalker. By following Nanou’s movements over the course of a day, we see a microcosm of her life presented as brief, yet piercing, vignettes. She lives in Zenith Hotel, but there are no soft towels or creature comforts here. Her lodgings are squalid. The communal toilet is ‘not a proper toilet, just a hole in the ground with two little white ceramic footrests’ and the floor is always wet. The narration starts with Nanou, so we gain access to her thoughts as she starts her morning in her room with a coffee and cigarette, a routine she maintains from one day to the next. Once Nanou heads out for the day, the focus shifts and much of the narration comes from the perspective of Nanou’s clients. We meet a high-school teacher crushed by the administrative burden of his job and a slightly stale marriage. We see a moped-loving man in his late thirties who has moved back in with his parents following the failure of his relationship. And there’s a bar manager in the process of leaving his current role to open a café with his brother. Cooper-Phane sketches these distinctive pen-portraits with a striking combination of insight, compassion and raw honesty; he shows us the lonely, the disconnected, those bruised by the harsh realities of life. They find it comforting to taste destitution, to defile themselves a little. When they get home, they’ll have a shower and forget all about it. When I get home, I’m going to burn all this. I don’t want anyone to read it. So why write? I don’t know, it’s stupid. I will have managed to talk about myself, though, a few pages of self-indulgence. I didn’t think I was capable of it. Zenith Hotel is a very good novella. At just under 100 pages, it’s a one-sitting read which manages to convey so much emotion in such a brief space. Cooper-Phane writes with brutal honesty, and yet there’s real compassion and humanity here, too. One of the things I most admire about his writing is the way he uses realistic details to flesh out his characters. Cooper-Phane avoids cliché to show Nano’s clients in a way that is believable and feels true to life. He also writes with raw candour about the grime and stench of life in the seedy side of Paris – brace yourself, as some of these images may not be for the weak stomached. Zenith Hotel (winner of the Prix de Flore in 2012) is this author’s first book, and it’s all the more impressive to discover he penned it at the age of 23. Zenith Hotel is published in the UK by Arcadia Books. Source: personal copy. This entry was posted in Book Reviews, Coop-Phane Oscar and tagged #TranslationThurs, Arcadia Books, Book Review, Fiction, France, Hotels, Literature in Translation, Oscar Coop-Phane on June 12, 2014 by JacquiWine.